March 29, 2017, 10:40 a.m.
By Ricardo Bilton @rbilton March 29, 2017, 10:40 a.m.
News organizations that once didn’t pay much attention to the coal miners of West Virginia are making up for lost time. Fox News interviewed a miner in a recent segment about Donald Trump’s proposed federal budget. NextPittsburgh wrote about miners learning how to code, and The Washington Post found a way to connect the miners’ plight with the potential defunding of the Corporation for Public Broadcasting. For many news organizations, the coal miner has become a symbol of the struggles of Appalachia as a whole — despite the specific profession representing just 0.019 percent of the American workforce in May 2015, the most recent numbers available from the Bureau of Labor Statistics. The coal miners’ story is worth telling, but so are those of the many other people in states like Kentucky and West Virginia that were central to Donald Trump’s victory in November. The idea is core to 100 Days in Appalachia, a new collaboration between West Virginia University’s Reed College of Media, West Virginia Public Broadcasting, and rural news site The Daily Yonder (which we profiled recently) that aims to go beyond the coal miner to tell a fuller story of Appalachia. It means telling stores like that of Sara Berzingi, a Muslim woman living in West Virginia, or Roland “Smiley” Shambaugh, an 82-year old truck driver from the state. The stories are told in different ways, from photo essays to, in Berzingi’s case, 360-degree video. 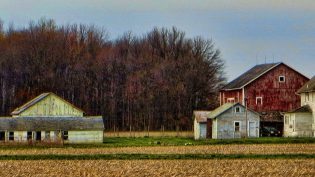 The site’s most popular story, published in February, focuses on the resistance efforts of farmers and environmentalists in Pocahontas County. Two classes at Reed College of Media work on 100 Days in Appalachia. One class, which is focused on curation, runs the site’s weekly newsletter, while the audience building–focused course covers the distribution and analytics side of the operation. Rather than focus on reporting and content creation — as most journalism programs do — Reed aims to teach students some of the new skills that are in demand in newsrooms today. (Most of the photography and articles are from paid outside contributors.) And in an effort to determine whether 100 Days in Appalachia can actually help bridge ideological divides, computer science students at Reed are using IBM’s Watson to analyze the profiles of Twitter and Facebook users who have shared or commented on the site’s content. Building national reach is one of the project’s core goals. While Appalachia is ground zero for many issues, few of those issues are limited to the region alone. “If Appalachia’s story is Trump’s story, then it’s also America’s story,” said Coester. To help build that national footprint, the college worked with Annemarie Dooling, director of programming at Vox Media’s fashion site Racked, who has been the Knight Foundation innovator-in-residence at WVU’s College of Media Innovation Center. Thomas McBee, Quartz’s editorial director for growth, is also a consulting editor on the project. “We knew we wanted to build a national publication, so a lot of our focus has been on taking regional content and nationalizing it. It’s kind of an audience-building experiment,” said Coester. While the project was initially envisioned as a “pop-up” publication that would only last for the first 100 days of the trump administration, the project early traffic numbers (which have outpaced expectations), along with a grant from the Claude Worthington Benedum Foundation, has encouraged the college to keep the project going — with the same branding. The team is also considering various ways to monetize the project, such has syndicating content to larger news organizations. 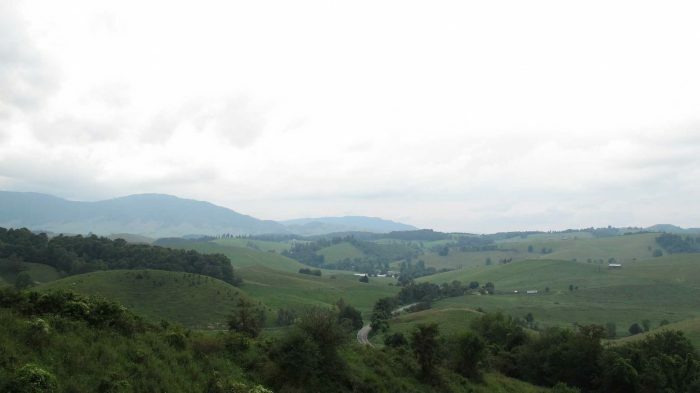 Photo of Appalachia by Elias Schewel used under a Creative Commons license. POSTED March 29, 2017, 10:40 a.m.
Bilton, Ricardo. "In West Virginia, a new project is going beyond the coal miner to tell a broader story of Appalachia." Nieman Journalism Lab. Nieman Foundation for Journalism at Harvard, 29 Mar. 2017. Web. 18 Apr. 2019. Bilton, Ricardo. "In West Virginia, a new project is going beyond the coal miner to tell a broader story of Appalachia." Nieman Journalism Lab. Last modified March 29, 2017. Accessed April 18, 2019. https://www.niemanlab.org/2017/03/in-west-virginia-a-new-project-is-going-beyond-the-coal-miner-to-tell-a-broader-story-of-appalachia/.